Thank you for your interest in Shores Vacation Rentals in South Haven, Michigan. We have managed many vacation rental properties for over 30 years for our valued property owners. 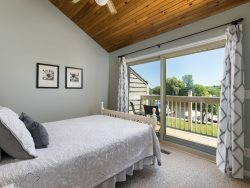 Shores Vacation Rentals has put together a complete Vacation Rental Program designed to make renting your cottage or condo simple and profitable at a competitive commission rate and to offer our guests a complete package of wonderful properties, warm hospitality, ease in booking, and lots of extras. We invite you to contact us to receive complete information on our rental program. Also, if you are considering the purchase of a second home to use as a vacation rental we are happy to offer any advice we can to help you decide which properties will be the best rental properties.